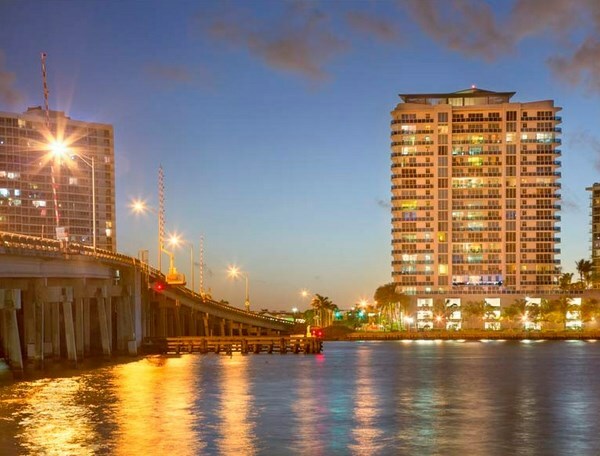 The Bridgewater is a luxury condominium near the water, located at the Eastern end of North Bay Village, which offers excellent views of water from all sides. Modern 21-storey tower designed by titled Kobi Karp Bureau can boast of wide balconies and three-level valet parking. 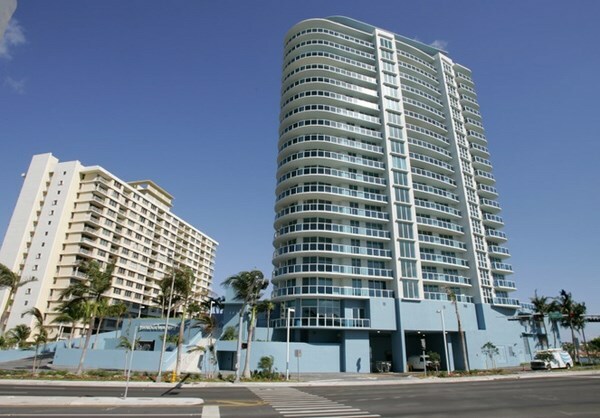 The Bridgewater Miami Beach offers 119 1-2 bedroom residences varying from 1 171 to 1 470 square feet in size. All apartments feature spacious layouts, wood, marble and elite ceramic tiles floors, built-in furniture and first class equipment, antistrike floor to ceiling windows, expansive walk-in wardrobes and terraces with views of the Bay, ocean and Coastal watercourse. 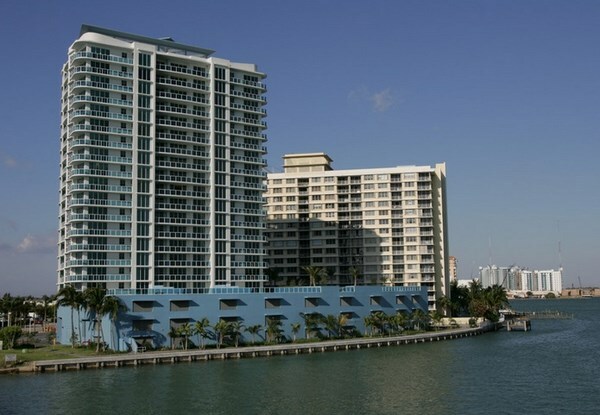 Elite residential complex is located on Treasure Island. Names of its streets were taken from the famous novel of Robert Louis Stevenson. The perfect location gives residents access to all the "treasures" of modern Miami. 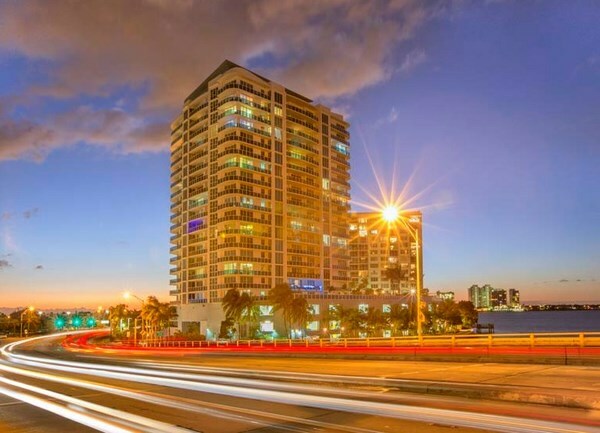 The nearby John F Kennedy Causeway highway that connects the mainland with Miami Beach, allows The Bridgewater residents to get to Miami Downtown and the world famous beaches in a few minutes. 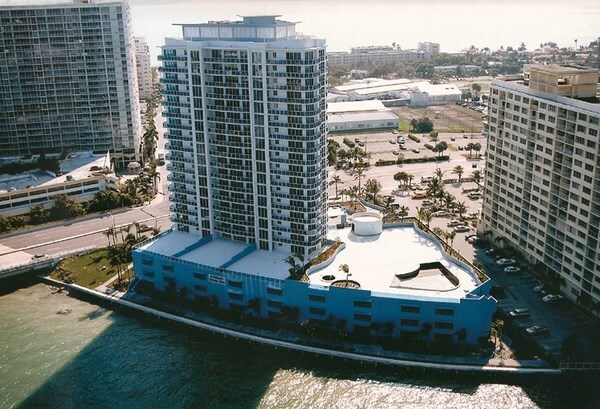 Yacht owners also have quick and direct access to Biscayne Bay, the Coastal watercourse and the Atlantic Ocean. 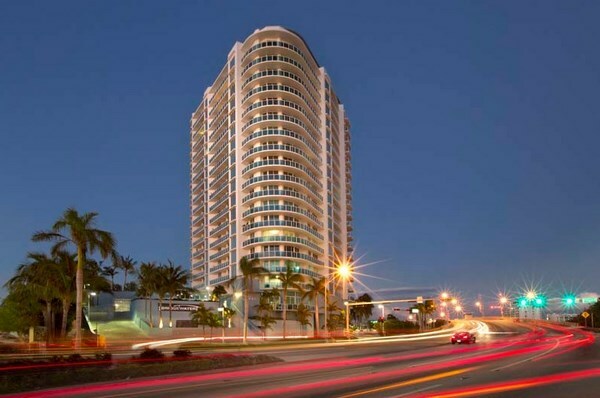 Elegant lobby with marble floors, 24-hour service, swimming pool, sun terrace with Bay views, a fully equipped fitness center and guarded covered parking are at The Bridgewater Miami Beach residents’ disposal.